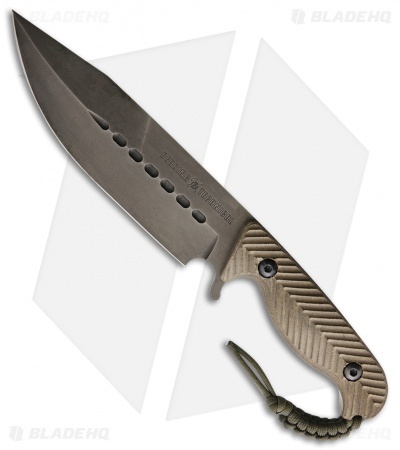 If you're looking for a do everything knife, then the Behring Technical F-1 could be for you! At 12" long and 1/4" of O1 tool steel, the F-1 can tackle even the most challenging cutting tasks. A generous finger choil allows you to choke up on the blade for excellent control on those more detailed tasks with a clip point hollow ground point, fantastic for piercing. Contoured and grooved micarta scales provide a sturdy and secure grip. 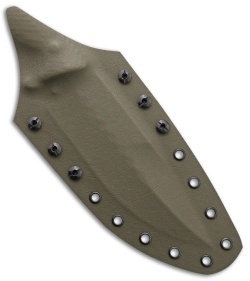 Includes leather belt sheath. If you need to hack, slash, chop, split and slice, then the ruggedly refined F-1 is a knife to consider!